Our UltraMag in three products recently launched on the French market by two different companies - Alesco S.r.l. 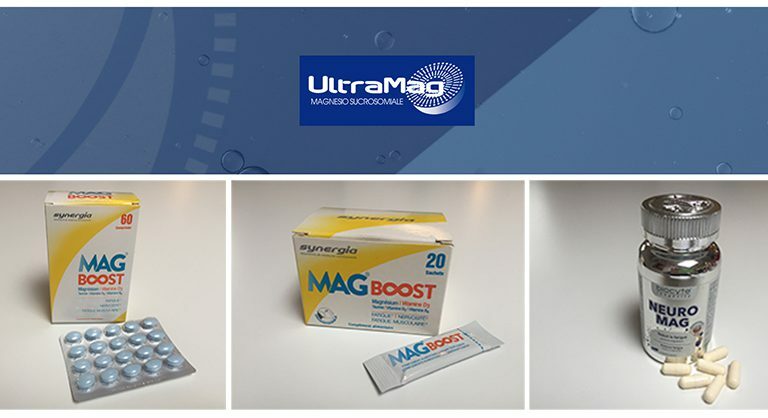 Two Mag® Boost products, one in tablet form and the other a throat lozenge, made by the French company Synergia and NeuroMag® of the joint national company Biocyte, containing our magnesium sucrosomiale® UltraMag, were recently launched on the French market. All three products are aimed primarily at people with chronic fatigue or excessive stress, both physical and mental, who need to strengthen their immune systems. (Mg) to pass through the gastric environment without interacting with the mucous membranes or other nutrients before being absorbed in the intestine to then pass into the blood flow, eliminating the risk of side effects during digestion. Our UltraMag uses sucrosomiale technology to increase the absorption and bioavailability of magnesium oxide which, in this way, works faster and more effectively than magnesium citrate. Alesco is investing substantially on clinical research to support, with scientific evidence, the superiority of UltraMag over other sources of Mg available on the market.